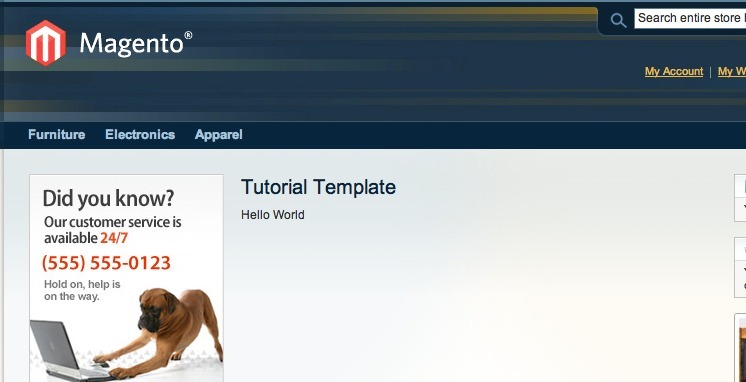 This entry is part 6 of 8 in the series Magento Projects. Earlier posts include Magento Module List Module, Magento Configuration Search, Layout Unremove 1.0.1: Fix for Caching Bug, An Unremove Tag for Magento Layout XML, and Reference for Magento Block Action Methods. Later posts include Tar Archive to Magento Connect, and Magento TinyMCE and HTML5. Magento is not designed for URL designers. When an interactive developer creates a content site, or uses another system (like Magento) to build a content site, the URL structure is as important as the content sitting on the page. Unfortunately, Magento’s routing system doesn’t make this a pleasant or easy task. When you’re setting up a code module in Magento, (which is how you properly add anything to the system), you need to pick a module “frontname”. This frontname becomes the first part of any URL you end up exposing with your module. There’s two major problems here for URL designers. The first is this scheme forces your into a three/deep/hierarchy approach to your URLs. While you can achieve something shallower using Index controllers and index actions, doing so incurs a confusing amount of mental overhead. Additionally, the three deep URL is still exposed to the world, which exposes your site/application to duplicate content problems. The other problem is the price of change. If you decide mid-project that a URL should be designed differently, you’re going to impact other parts of the system that use front names, controller names and action names to drive behavior. This means the URL designer needs to take on that work, or burn cycles getting the rest of the team aligned to the change. Inertia almost always wins in these situations and the sub-optimal URL remains. We’ve previously covered Magento’s rewrite system, which offers another solution for URL designers. Again though, there’s a base level of complexity to the system that reenforces natural inertia. Which URL rewrite system should we use? Rumor has it the configuration based system is considered deprecated, but the model based rewrite system requires transferring database information between environments (always a tricky tasks in interactive production environments). Also, there’s nothing obvious about either rewrite system. A new developer will default to using the front name, controller name and action name because a database based rewrite stays hidden in the system. Again, inertia wins, and developers inclined towards URL design end up stewing and loathing Magento projects. This may seem esoteric if you’re not involved with the bleeding edge front-end development community, but I see it time and time again with the interactive agencies I consult with. Because of that, I’ve created the Simple Page extension. 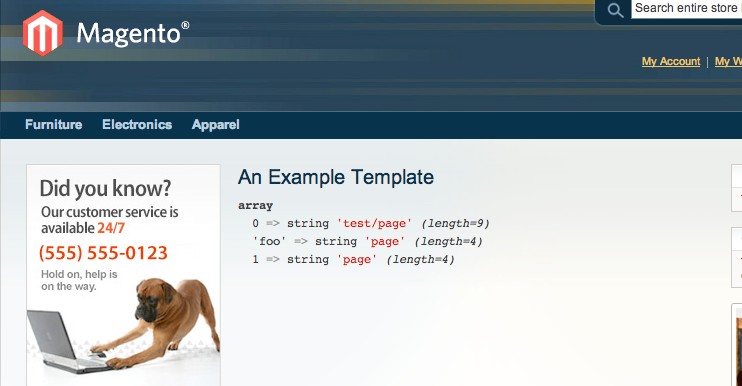 Simple Page provides Django style routing for Magento. It doesn’t replace the existing routing system, but instead focuses on providing developers with an easy alternative to setup URLs for Magento pages. 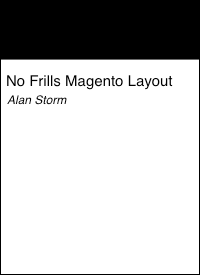 It’s easy to approach for beginners, but also provides access to Magento’s powerful layout features without the need for Layout XML Updates. folder to your theme folder. The above page is the only default route that ships with the extension, but don’t worry. The next section covers adding your own URLs to the system. Notice that the URL structure is completely decoupled from the PHP code that’s called. This lets us avoid making a decision on what to do with dashes, underscores, camel case, and all the other URL form edge cases that other PHP systems deal with differently. The important bit is function 'tutorial' not found. PHP is yelling at us because we’ve configured this view function without defining it. We’ll be taking care of that next. Congratulations, you’ve created your first Simple Page route! A view function’s responsibility is to return a Magento block. The block returned by a view function will be automatically inserted into the Layout’s content block. In the interest of making this as simple as possible, the first paramater of any view function is a pre-instantiated template block. The first thing to notice is the full paramater list. In addition to passing in an instantiated block, every view function will receive a $layout, $request, and $response variable. The $layout variable contains the Magento layout singleton, while $request and $response contain the global Magento request and response objects. The above function uses the layout object to create a new text block and return that instead of the passed in template block. At this point you could also use the $layout object to show and hide particular columns, or add a number of different blocks if you want. Anything you normally do in local.xml you can do here via PHP. There’s one problem with the examples above: We’re editing files inside the Pulsestorm_Simplepage module itself. When there’s an update for the module, a manual change merge will need to happen (sound familiar?). Fortunately, the Simple Page module is built in a way that lets you apply your routes in any code module. Other than changing a few of the details, there’s two new things with the above code. The first, and most obvious, is we’ve placed our files in a module completely separate from the Simple Page module. By including <module>Pulsestorm_Helloroute</module>, we’ll telling Magengto that if this particular URL regular expression matches, the views/simplepage.php file should be loaded from Pulsestorm_Helloroute instead of Pulsestorm_Simplepage. Simple Page will populate its default block with an array of data parameters. By default, the first parameter is the request path. However, you can add to this array by adding capture parenthesis to your url regular expression. Change <url_regex> to match the following. While Magento provides you a lot of functionality out of the box, it’s inevitable that you, your clients, or your employers will outgrow the built in Magento content management functionality. Magento CMS is great for content entry, but not ideal for the sort of hand crafted HTML that world class agencies are known for. Simple Page offers you the raw tools you’ll need to quickly setup and build out pages in your Magento system without diving deep into the module configuration. This first release is stable, but only a beta. The module’s been submitted for review in Magento Connect, so keep an eye on Twitter for an announcement, or download the extension here. Feedback from other software engineers or interactive developers is more than welcome. Either use the comment below or get in touch directly.